Regarding the attempted act of terrorism on Northwest Airlines Flight 253, UCL President and Provost, Professor Malcolm Grant, has issued the following statement: "Based on information now in the public domain, we have good reason to believe that Umar Farouk Abdulmutallab, now detained in the USA, is a former UCL student who studied Engineering with Business Finance and graduated in 2008. UCL is deeply saddened by these events. This is a university founded on equality and religious tolerance, and strongly committed today to respect for human rights. We are cooperating fully with the authorities in their further investigations." 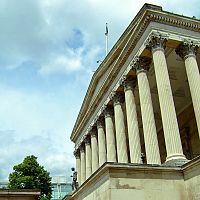 "Given the intense media interest surrounding Mr Umar Abdulmutallab, the Department of Mechanical Engineering, UCL, can confirm that a person of this name and description attended the Department as a full time student between 2005 and 2008, and studied for an undergraduate degree in Engineering with Business Finance. The Department's association with him ended in June 2008 after he successfully graduated. "The Department in common with UCL admits students solely on the basis of their academic abilities without regard to a person's political, racial or religious background. During his time on the course Mr Abdulmutallab never gave his tutors any cause for concern, and was a well mannered, quietly spoken, polite and able young man. We are deeply shocked by the recent news concerning Mr Abdulmutallab. "The Department is currently cooperating with the authorities in their investigations, and as such cannot issue any further information covering Mr Abdulmutallab's period at UCL."